You won't believe!! Well, yes, you will, why not?? Today I was going to prepare avocado brownies!!! 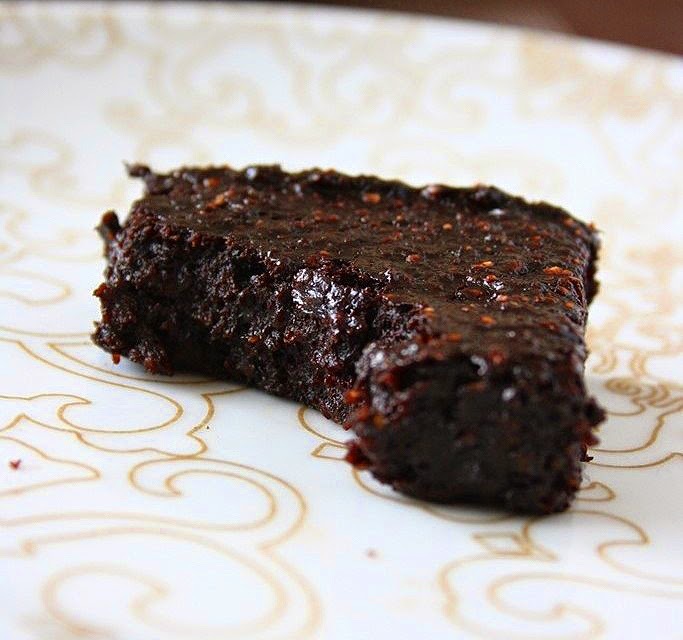 But finally, I'll make tahini brownies. So, next week, I was going to buy avocados to prepare fajitas, so I use that chance to make the avocado ones. I love they're so fudgy!!! And I love your photos!! Haha, great! I think tahini would give a perfectly fudgy texture! Thank you!! I would like to hear about your tahini and avocado brownies (or see in your blog). Have a great weekend too!!! Love to use avocado in my desserts and baking too. These dark beauties are truly delicious. Oh my gosh, these look so dark and fudgy, its almost too much! I LOVE the use of avocados and the fact that you made these without eggs! 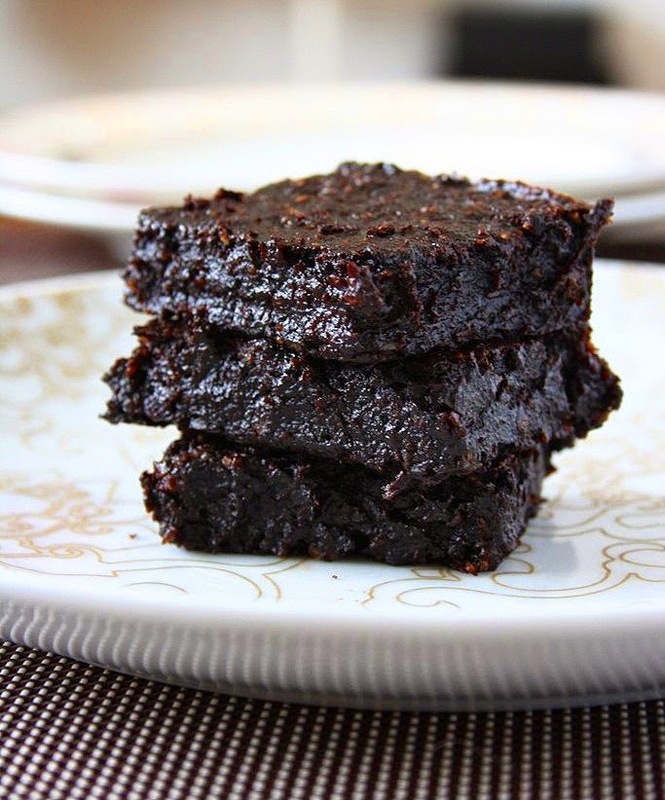 ^^ If you try the black bean and avo brownies, post it. I've tried both separately, but never together. These are enough though - absolutely fantastic Gaby! Thank you!! :) I will definitely post if I make black bean & avocado brownies! That sounds so delicious, can't wait to try it. Is there any substitute for the brown sugar you'd recommend? Would honey work here? You might use brown sugar, but it might affect the flavour. I'm not really sure about honey, you might try, but I can't guarantee the result will be good because I haven't tried that. Hope you'll try this! Do you just use a food processor for the oats? Going to try this tmrw looks amazing yet it's healthy! Yep, just use a food processor! Hope you're gonna love this! I never count calories, but there is approximately 112 calories in one brownie. However, this is not accurate and it depends on many factors like what cocoa powder you use or the size of your avocado. Both old-fashioned and quick-cooking should work here as they're ground. But I used old-fashioned ones. just tried it, taste soooooo good! thanks for this awesome recipe! Can i omit the instant coffee? Yes, you can! However, I find these taste better with the addition of coffee. Omg these are so good! Thank you for the recipe. I was skeptical of avocado deserts too, so glad I gave it a shot. I actually cut the sugar to 100g and they were still awesome. So quick and easy too! How big where the avocados? I recently bought some little guys. Can I use coffee grounds instead of instant coffee granuals? Hi there. I have just come across the recipe and can't wait to make it tonight. Is there some way to incorporate some dark chocolate as well?